Black Friday shopping traditionally is the day after Thanksgiving but retailers and consumers are playing the game all month long from tent camping outside best buy to tweeted specials via social media like Twitter& Facebook. 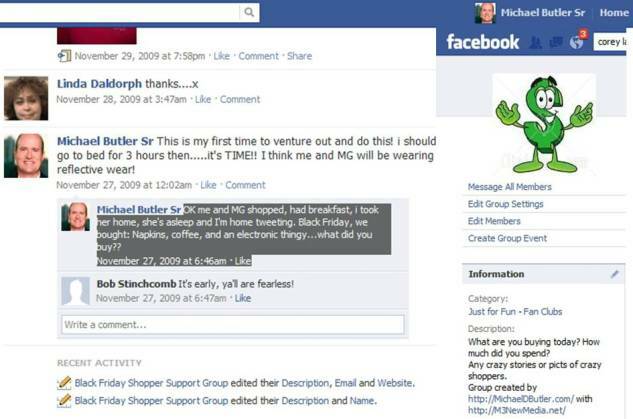 Michael forgot about creating that post until the Producer at TheTakeAway.org with WNYC called on Black Wednesday asking for an interview on Black Friday. Michael quickly seized the opportunity even though it meant rolling out of bed at 4:30 am on Friday, hey that was sleeping in compared to some Black Friday shoppers and radio show hosts! M3 New Media had just wrapped up a Black Tuesday Twitter event: Tuesday Night Twitter Event Gets You Black Friday Ready. M3NewMedia.com with the MoneySavingQueen.com to help GoldBuyersExpress.com customers get cash rich for Black Friday and Christmas Holiday shopping deals! Thank you so much for talking with me today. As we discussed, we’re thrilled that you can join us Friday at 6:00am EST on The Takeaway. We will give you a call to check your line at 5:45am EST. The interview will begin at 6:00am EST. You will be joined by New York Times finance and Wall Street reporter Louise Story, as well as by a former Black Friday shopper who won’t be shopping this year. If you has any questions in the morning, you can call our Senior Editor and Line Producer Rupert Allman -We will call you on skype using your skype login michaelbutlersr. This will be a LIVE interview with our hosts John Hockenberry and Celeste Headlee. A bit more about the show: The Takeaway is a live public radio news show, co-produced with WNYC, the New York Times, and the BBC. We broadcast all across the United States during morning drive time. Our hosts are John Hockenberry and Celeste Headlee. John, a 30-year veteran of radio and television news, has won four Emmys and three Peabody awards. Celeste was the Midwest Correspondent for NPR’s Day to Day before joining our program. We have nearly a million listeners and are broadcast across the country. Michael D. Butler & Nathan Mitchell, MBA, Co-Founders of TheVentureNetwork.org and Co-authors of “Leverage Your Network 24/7″ will be on WNYC Radio talking about Black Friday Shopping, Consumer Confidence, Social Media Trends Retailers are using to attract and gain customers and how customers can leverage social media platforms like Twitter to find the best deals this Black Friday. The program The Takeaway is produced by WNYC and PRI, with the New York Times, the BBC World Service & WGBH Boston. Reach us on Facebook, Twitter, Tumblr. M3 New Media is a 24/7 Digital PR and Social Media Firm based in Tulsa, OK. The Venture Network is a 24/7 Business Development Incubator based in Tulsa, OK and launching nationally in 2012. “Most businesses fail in the first five years” This is why I wrote “Give Me The Ball-Winning the Game of Entrepreneurship” says Nathan Mitchell, MBA in Tulsa OK and Co-Founder of The Venture Network. “I’m thankful to have business success mogul and networking expert Brian Tracy write an endorsement for my book ,” says Mitchell. “One of the main reasons we are launching The Venture Network now, in this economy is to give start-up businesses and business owners the support they need to get their businesses back on track, find more customers and gain market share again,” said Michael Butler. Nathan is the Founder of EABootCamp.com a power-packed 1 day seminar for entrepreneurs and the owner of ClutchConsulting.net in Tulsa and is a featured speaker on college campuses on the topics of Entrepreneurship, Business and Success. 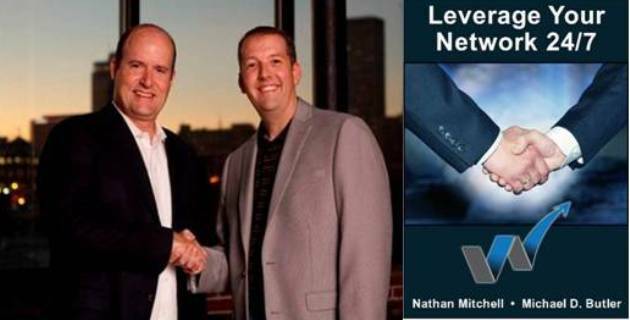 Michael Butler is the Co-Founder of TheVentureNetwork.org with Nathan R. Mitchell and the CEO of M3NewMedia in Tulsa. Michael does celebrity coaching and social media branding for authors, celebrities and business owners. This entry was posted on and is filed under Advertising, Blog, Business Networking, In the News, Social Media Marketing. You can follow any responses to this entry through the RSS feed. You can leave a response, or trackback from your own site. "....M3 went the extra mile for our organization, and did all the work with excellence and exemplary professionalism. " "...from TV interviews to speaking engagements, You guys have been awesome!" "You guys have done a remarkable job with our Website and our Social Media Campaign and you have been a delight to work with!" "The team at M3 has been a blast to work with on several National PR campaigns to end Human Trafficking in San Diego and global networking for the cause-we can highly recommend M3 when you need to create some buzz! "